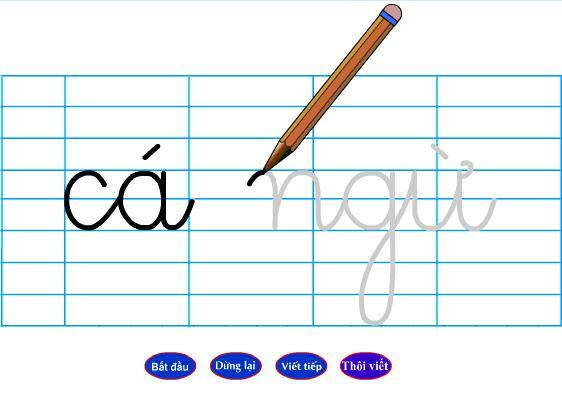 General introduction about Vietnamese language. Vietnamese is one of a few languages in Asia that uses Latin alphabet instead of symbol. This makes it a lot easier to interpret street signs and even to learn to speak. The modern Vietnamese was created by a Spanish Missionary to facilitate the process of French colonization. As a result, it is a no big surprise that the pronunciation resembles that of Spanish. The major difference between these two languages is that Vietnamese has 6 intonations in speaking and writing. You might not be able to master Vietnamese in your short traveling period. However, knowing some basic words will impress the local and make yourself more friendly and approachable than a passer-by. You will not have much difficulty traveling in Vietnam, since many Vietnamese, especially young people, can speak English quite fluently (learn whether you can get by with just English in Vietnam). Even though some of them are shy to foreigners, they will readily help you if you get lost and ask for direction. Some others are keen on speaking to you because that helps them improve their communication in a foreign language. It is generally agreed that if one decides to stay in a country for some extended period of time, he should at least put efforts into learning the native language. Vietnamese is one of those “exotic” languages that one can learn in this ever-so-tiny little rock called Earth. Many people these days are comfortable with at least one foreign language. The Europeans count on their brethren in the block: Italiano, Francais, Norsk and so on. The North Americans are mostly schooled with either Espanol or Francais. But to tell one’s peers that he has an excellent command of the thing called Tiếng Việt, that is how-entirely different. Not only learning a new language can be fun and useful, but it is also a sign of respect for the local people and culture. If one puts himself into the shoes of some expat’s neighbor, it is very reasonable now to see how the girl next door expects to hear a complement from this new guy, after 2 months he has been in town, is it not? Let’s be clear from the start, while the Vietnamese grammar is among the easiest to pick up, its pronunciation is ranked well enough in the “more difficult” group of languages. A Voxy estimation gives that the average Joe needs to spend some 1100 class hours, plus outside practice, to achieve proficiency. “We mean real study”. There are expats in Vietnam who have stayed for years and mastered the language, which in some extreme cases like the famous Joe Ruelle, or Dâu Tây (Western Berry) as the locals like to call him, even manage to write blogs and host television shows. Dâu Tây blogs that nowhere else in the world people are so eager to talk to foreigners and let them practice their new tongue like they are here. And since Vietnamese are that welcoming, one gets preferred treatment once he is capable of rolling with the locals.